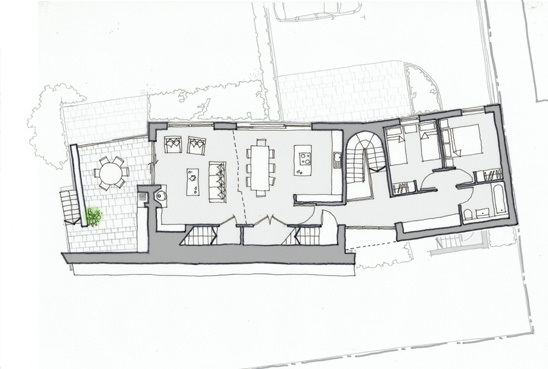 Our clients are looking to buy a plot of land in Harrogate to build their dream 5 bedroom house. The main driver of the brief was that the house has to be self-sufficient in terms of energy consumption and we looked to incorporate various technologies including photovoltaics, combined heat and power (CHP), grey water recycling as well as designing to be thermally efficient. Due to the outstanding views from the site, the living accommodation was located at first floor level, opening up to the views. Guest accommodation is located on this level, with the main bedrooms located below.